As data sources proliferate so the need for good ETL tools increases. Here is a fairly extensive list of ETL tools currently available. Talend Open Source Data Integrator provides multiple solutions for data integration, both open source and commercial editions. Talend offers an Eclipse-based interface, drag-and-drop design flow, and broad connectivity with more than 400 pre-configured application connectors to bridge between databases, mainframes, file systems, web services, packaged enterprise applications, data warehouses, OLAP applications, Software-as-a-Service, Cloud-based applications, and more. GeoKettle is a metadata-driven Spatial ETL tool dedicated to the integration of different spatial data sources for building and updating geospatial data warehouses. GeoKettle enables the Extraction of data from data sources, the Transformation of data in order to correct errors, make some data cleansing, change the data structure, make them compliant to defined standards, and the Loading of transformed data into a target DataBase Management System (DBMS) in OLTP or OLAP/SOLAP mode, GIS file or Geospatial Web Service. Apatar provides connectivity to many popular applications and data sources (Oracle, MS SQL, MySQL, Sybase, DB2, MS Access, PostgreSQL, XML, InstantDB, Paradox, BorlandJDataStore, Csv, MS Excel, Qed, HSQL, Compiere ERP, SalesForce.Com, SugarCRM, Goldmine, any JDBC data sources and more). Supports bi-directional integration, is platform independent and can be used without coding via the Visual Job Designer. An on-demand version supports Salesforce and QuickBooks. CloverETL supports a wide range of data sources including CSV, Excel, databases via JDBC drivers, LDAP, Lotus Notes, Quickbase, Infobright, web services, XML and JSON. Functionality includes filters, joins, lookup, aggregate, sort, dedup, rollup, normalize, pivot and much more. Interface is primarily visual without coding. Free community edition and various commercial packages. Jaspersoft ETL is easy to deploy and out-performs many proprietary ETL software systems. It is used to extract data from your transactional system to create a consolidated data warehouse or data mart for reporting and analysis. KETL is open sourced under a combination of the both the GNU Lesser Public License (LGPL) and the GNU Public License (GPL). Pentaho’s Data Integration, also known as Kettle, delivers powerful extraction, transformation, and loading (ETL) capabilities. You can use this stand-alone application to visually design transforms and jobs that extract your existing data and make it available for easy reporting and analysis. SQ-ALL provides an online ETL solution for DBAs (database administrators). SQL commands can be run against APIs, JSON / XML / RSS feeds and HTML tables on web pages. Data can also be transformed using the power of conventional SQL commands (with subqueries, grouping, sorting, filtering etc). The output data can then be sent to a CSV file or a database table. The developers have emphasised that they are eager for customization or automation requests for their system. Free and paid for versions. Talend Studio features over 800 connectors to natively connect databases, flat files, cloud-based applications and more data. Graphical drag-and-drop tools and wizards speed design, testing, and generation of code in the languages users need. It allows users to manage and monitor projects from simple, one-time ETL projects to complex, ongoing data synchronisation projects requiring thousands of jobs. Teams leverage a shared repository and versioning tools for maximum productivity. Ab Initio is an application integration company, with ETL as part of its product suite. The company is secretive and so information is hard to get. Adeptia Integration Suite is an enterprise-class solution that incorporates all aspects of integration, including data integration (ETL), application integration (ESB), Business-to-Business Integration (B2Bi), and Business Process Management (BPM). The ETL component is claimed to include a powerful data conversion capability that converts data, no matter the format, into any other format. Astera Centerprise Data Integrator provides a scalable, high-performance, and affordable integration platform, designed for ease of use, and robust enough deal with complex data integration challenges. Centerprise’s complex data mapping capabilities make it suitable for overcoming the challenges of complex hierarchical structures such as XML, electronic data interchange (EDI), web services, and more. ETL Solutions Transformation Manager is designed to handle complex data transformations. It is a stand-alone Windows® or Linux® software suite of metadata code generator programmes used to create, test, debug and deploy data transforms between virtually all types of data. Models and transforms are stored in a metadata text repository, which is fully compatible with version control systems, and provides a multi-user environment for the sharing and developing of all aspects of models and transforms. ETL-Tools provides a number of ETL products. Advanced ETL Processor avoids having hundreds of different connectors, many of them just very subtle variations of similar components. Instead Advanced ETL Processor uses only one universal Data writer and Data reader component but each one is highly configurable and includes all of the parameters needed to get your data in and out of almost any data source. This approach allows the end user to design mapping once and use it with any database or file. Works with 30+ different datasources, has more than 500 graphical data transformation functions. Visual Importer ETL was designed to assist with complex business process automation. Users can design Imports, Exports and SQL scripts add them to the package and schedule it for execution on regular basis. Support for big data and Hadoop—enables users to directly access big data on a distributed file system, and helps clients more efficiently leverage new data sources by providing JSON support and a new JDBC connector. Workload and business rules management—helps optimize hardware utilization and prioritize mission-critical tasks. Ease of use—helps improve speed, flexibility and effectiveness to build, deploy, update and manage data integration infrastructure. IBM InfoSphere Information Server is a data integration platform which includes a family of products that enable users to understand, cleanse, monitor, transform, and deliver data. InfoSphere Information Server provides massively parallel processing (MPP) capabilities to deliver a highly scalable and flexible integration platform that handles a variety of data volumes (big, small, and everything in between). Informatica PowerCenter forms a foundation for all data integration initiatives, including analytics and data warehousing, application migration, or consolidation and data governance. It provides graphical, intuitive, metadata-driven views of data flows, impact analysis, and lineage provide better governance, auditability, and change management. Users can seamlessly access and integrate data from all types of sources, using high-performance, out-of-the-box connectors. It also supports validation testing of data that has been moved or transformed, using a script-free automated, auditable, and repeatable process across development, test, and production. MetaSuite can be used to extract, transform and merge operational data. It can also be used to consolidate and rationalise data, and deliver as such support for Master Data Management. A tool for data migrations, data conversions of replaced legacy applications and for data consolidation during mergers and acquisitions. Microsoft Integration Services is a platform for building enterprise-level data integration and data transformations solutions. Users use Integration Services to solve complex business problems by copying or downloading files, sending e-mail messages in response to events, updating data warehouses, cleaning and mining data, and managing SQL Server objects and data. The packages can work alone or in concert with other packages to address complex business needs. Integration Services can extract and transform data from a wide variety of sources such as XML data files, flat files, and relational data sources, and then load the data into one or more destinations. Integration Services includes a rich set of built-in tasks and transformations; tools for constructing packages; and the Integration Services service for running and managing packages. Users can use the graphical Integration Services tools to create solutions without writing a single line of code; or you can program the extensive Integration Services object model to create packages programmatically and code custom tasks and other package objects. OpenText Integration Center facilitates the fusing of traditional data management and enterprise content management approaches into a single information management strategy. Provides access to virtually any business system, such as ERP, CRM, SCM, ECM, and custom applications with a complete range of database and repository connectors, including connectors to OpenText repositories, file shares, multi-dimensional databases, and so on. Uses simple to complex business logic to extract both structured and unstructured objects from business systems so that you can understand, manipulate, and transport them. Supports the widest range of transformation complexity, replacing most custom language-based development. Provides Track Changes, Impact Analysis, and Auto Documentation features to enable implementation and management of integration projects with minimal overhead. Initiates processes based on pre-determined schedules or events. Provides process monitoring as well as full history and audit-trail reporting. Oracle Data Integrator is a data integration platform that covers all data integration requirements: from high-volume, high-performance batch loads, to event-driven, trickle-feed integration processes, to SOA-enabled data services. Oracle Data Integrator (ODI) 12c, the latest version includes a redesigned flow-based declarative user interface and deeper integration with Oracle GoldenGate. ODI12c. It includes interoperability with Oracle Warehouse Builder (OWB) for a quick and simple migration for OWB customers to ODI12c. Additionally, ODI can now be monitored from a single solution along with other Oracle technologies and applications through the integration with Oracle Enterprise Manager 12c. Oracle Warehouse Builder is a single tool for all aspects of data integration. Warehouse Builder leverages Oracle Database and provides data quality, data auditing, fully integrated relational and dimensional modelling, and full lifecycle management of data and metadata. 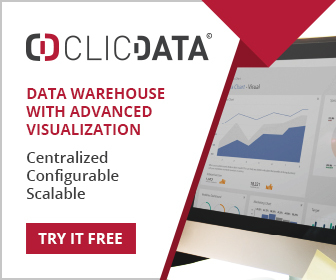 Warehouse Builder enables users to create data warehouses, migrate data from legacy systems, consolidate data from disparate data sources, clean and transform data to provide quality information, and manage corporate metadata. Pervasive’s Data Integrator (now part of Actian) performs complex integration operations, although the software is remarkably easy-to-use and doesn’t require a specialised skill set. Its rich features are highly intuitive and configurable for design, deployment and management – without the sticker shock. Reusable components give you the flexibility to design once and deploy on-premise or in the Cloud. Unlike other data integration tools, Pervasive Data Integrator has the same full-featured web UI used for both on-premise and cloud versions. QlikView Expressor is metadata management with a different approach. It is simple and descriptive, not complex and prescriptive. It consistently captures and manages metadata as users build analytic apps, rather than be locked into a semantic layer up front. Sagent Data Flow from Pitney Bowes Software is an integration engine that collates data from disparate sources and provides a comprehensive set of data transformation tools to enhance its business value. Available modules within Sagent Data Flow include Mainframe AS/400 and R/3(SAP). Sagent Data Flow natively handles all major RDBM systems such as Oracle IBM DB2 and Microsoft SQL Server as well as most major text-based data formats including XML. Sagent Data Flow incorporates a powerful visual development environment that helps to speed up and simplify the creation of sophisticated data transformations to support both business and technical users. SAP Data Services helps integrate, transform, and improve data at the project or enterprise level. It delivers a single enterprise-class solution for data integration, data quality, data profiling, and text data processing that allows users to integrate, transform, improve, and deliver data. SAS Data Integration Studio provides a powerful visual design tool for building, implementing and managing data integration processes regardless of data sources, applications, or platforms. It provides an easy-to-manage, multiple-user environment enables collaboration on large enterprise projects with repeatable processes that are easily shared. The creation and management of data and metadata are improved with extensive impact analysis of potential changes made across all data integration processes. SAS Data Integration Studio enables users to quickly build and edit data integration, to automatically capture and manage standardised metadata from any source, and to easily display, visualise, and understand enterprise metadata and data integration processes. SAS Data Integration Studio is a component in a number of SAS software offerings, including SAS Data Management Advanced. 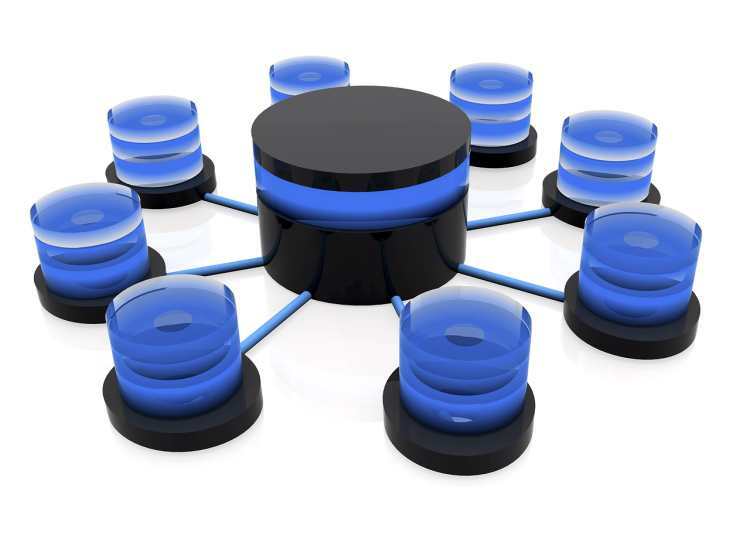 Relational Junction ETL Manager is an easy way to integrate diverse databases. Extract, Transform, and Load production data into the data warehouse. Integrate Oracle, SQL Server, MySQL, Sybase, DB2, PostgreSQL, Informix, and Greenplum databases. Import flat files or XML. Leverage your existing SQL skills with native SQL scripting. Syncsort DMX is full-featured data integration software that helps organisations extract, transform and load data. DMX brings all data transformations into a high-performance, in-memory ETL engine. Transformations are processed on the fly, eliminating the need for costly database staging areas or manually pushing transformations to the database. It also offers high-performance compression for reading and writing data files. In anyone knows of other ETL tools please let us know.